Last week, I shared how my husband gave me the coolest birthday trip ever. On that trip, I picked up a couple cool, small items as well as a piece I truly fell in love with. 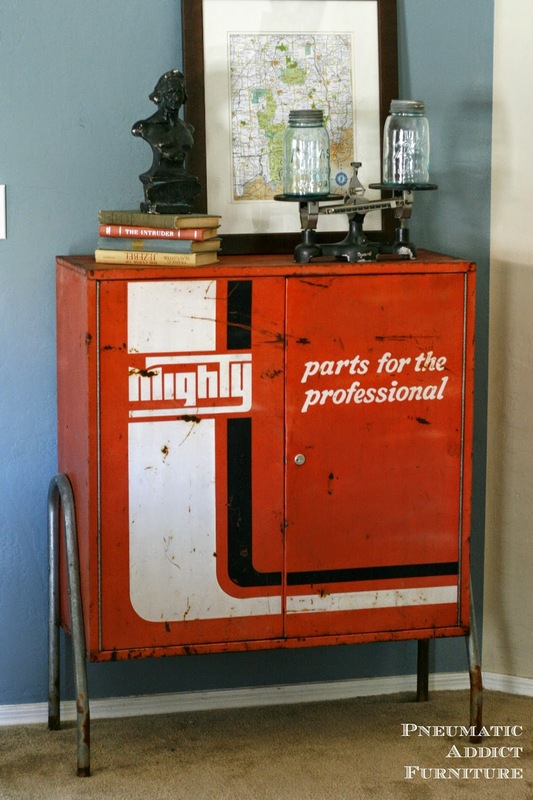 I found this metal mechanic's cabinet in the back lot of an antique mall. Despite sitting outside for an obviously long amount of time, it was in pretty good condition. Just the right amount of rust and oxidation. The true test of whether I would buy it was opening it up. Sometimes when you find an old metal piece like this, the outside looks okay, but then you open it up and the bottom is totally rusted through, or there is a family of raccoons living in it. Much to my surprise, the inside was fantastic! No wildlife. Still had the 4 original shelves, complete with original labels. I chuckled a little when I read some. "Pinto" and "Caprice" give you an idea of the area this thing was used. Unfortunately, the key had been lost long ago. No problem. I discovered replacing a cabinet lock like this one is pretty simple. Now, having a key to hold on to makes it much easier to open as well. The whole thing received a good scrub down, as well as a couple coats of clear lacquer to keep it looking just like it does now. 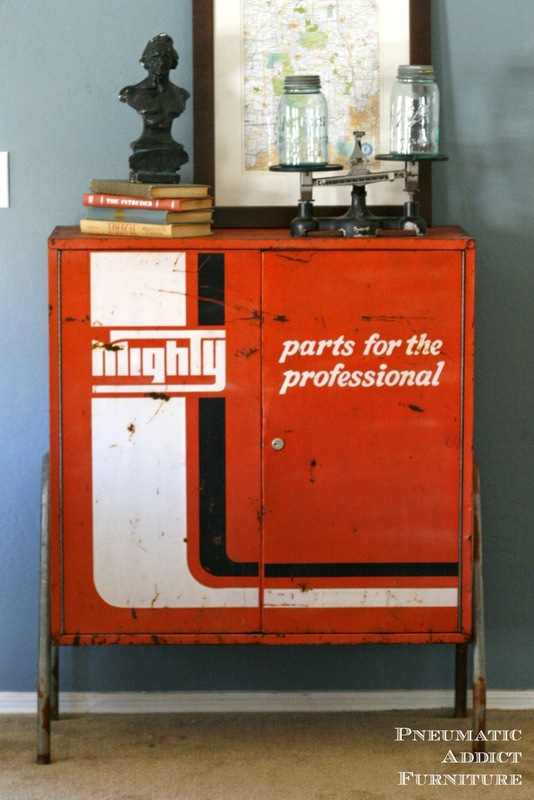 I SO wish I had somewhere to use this cabinet in my house. It is very "me". 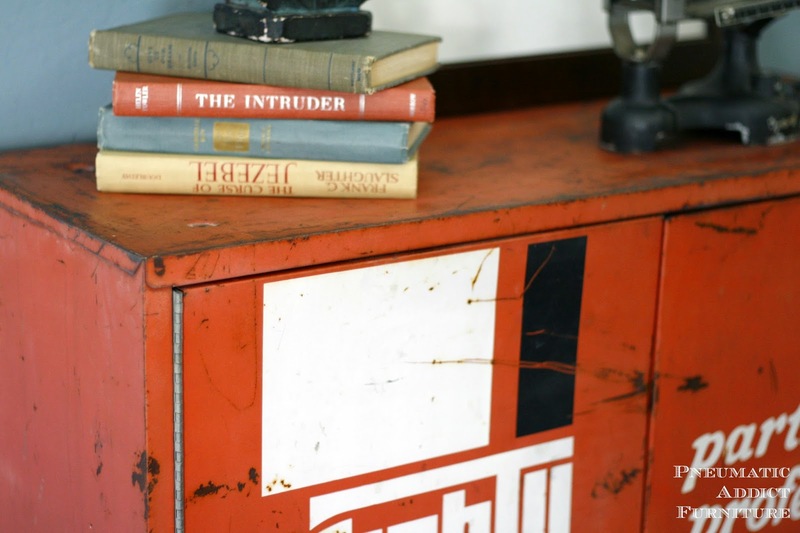 I know lots of people will be like, "You are all excited about a rusty, old metal cabinet?" Yep. I think it's pretty sweet. And since you're wondering, why yes, it IS for sale. Check it out under the 'shop' tab. I think this bad boy would make a pretty sweet bar, or even a small TV console. What do you think? That is very cool! 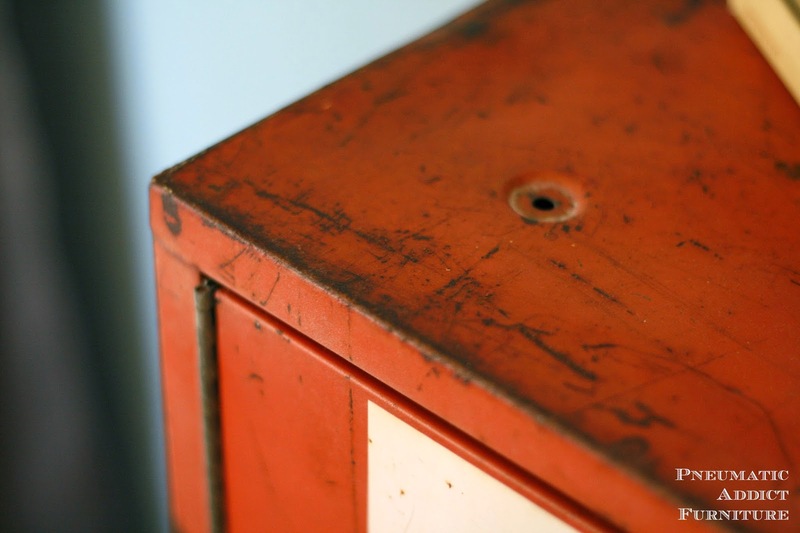 I would never have thought to reuse the cabinet in this way! Cool find! 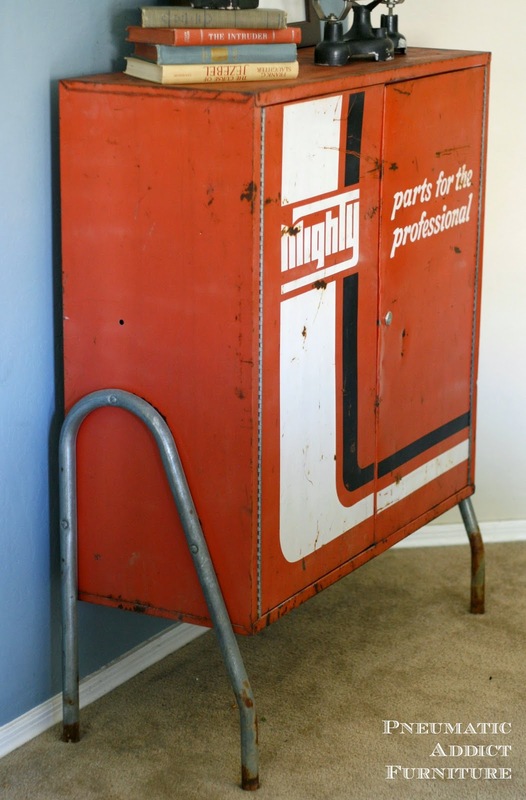 That would make a great storage unit in an entryway for shoes, hats, keys, purses, etc. The patina on that thing is TO DIE FOR. And the color and pattern remind me of an old bowling shirt. I love it and am totally jealous. I would have to make a place for it somewhere.. Even my craft room, since it looks like it would be great for storage. I love old and vintage things. I love the way you used it. 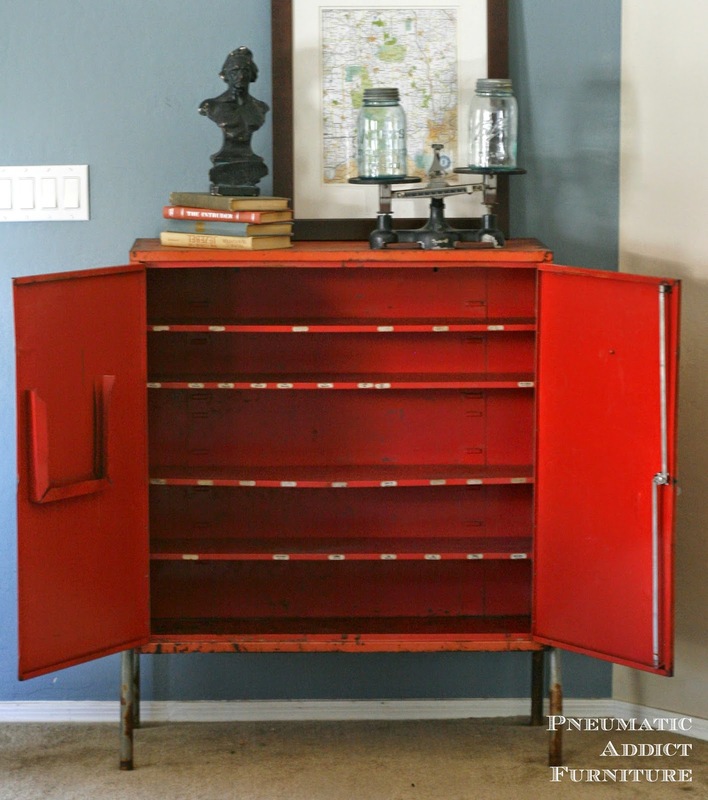 I love it... a great find and would make a great storage unit. I love this and am sorry I am seeing it over a year later!! I would have purchased this is a heartbeat as it goes perfectly with my "junky" look! !